Since its inception in 2004, "Baba Heating Edge Delhi" has endeavored to manufacture, supply and export various kinds of Heating Products. Our team of experts offers customized solutions to our clients to match up with their exact requirements. We also offer products like Heating Systems, Electric Heating Systems, Water Immersion Heaters, Air Heaters and Industrial Water Immersion Heaters. The products are checked on parameters of temperature profile and size. We offer high quality heating products to our esteemed clients. Our manufacturing unit includes all the modern machineries and sophisticated technology, that makes sure high quality and reliable products are produced. We continuously inspect the entire range to ensure flawlessness in the production. 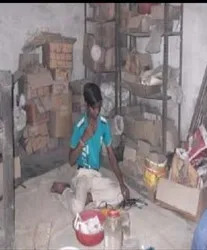 In addition to this, our main intent is to establish as one of the biggest exporter and manufacturer of Industrial Heating Elements from the India Subcontinent. Further, to attain this position, PHP promote their processes & products by continues development. We are exporting our products all over the globe. Under the able supervision of our mentor, Mr. Pankaj Kumar, we have been able to attain a commendable position in this domain. The products offered by us are used in various industries such as Rubber, Laundry, Paper, Automobile, Petrochemicals, Leather, Engineering, Hotel and Electronics. 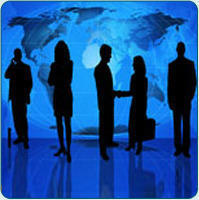 Our company poses a team of quality auditors, having deep industry knowledge. They check the entire range on various required parameters to ensure its accordance with the industry set norms. Our manufacturing departments have all the advanced machines which have the capacity to work in harsh conditions. Our manufacturing unit is also has an in-house design unit, which offers CAD/CAM facility. The machines available with us help in providing the bulk of orders in a specific time frame. With our Quality products and optimum performance, we have scaled new heights and touched the pinnacle of success. The entire manufacturing process is subjected to a stringent procedure and each level of the production is carefully monitored by our QCs. We ensure each product that displays our name conforms to the international norms of quality, ensuring total reliability and durability. With sincere efforts and dedication of our team towards the work, we have reached the top position the market. Their commitment and loyalty for the company has led us achieve success in the industry. The technical personnel of our company have sound knowledge about the on-site projects, processing and fabrication technology. With their support and our advanced technology, we offer hi-tech equipment to our clients. Our technical department personnel have vast knowledge about the manufacturing process. They keep a track on the production of the products and deliver them timely. In addition to this, they offer after sales services to effectively meet the specific requirements of the clients. We are also equipped with R & D department that strictly conducts tests and experiments regularly. We are well known manufacturers and exporters of high quality water heaters. These products are manufactured with the latest technology sing high grade raw materials. The products offered by us are high on performance.